Over the years of experience make us highly appreciated and trustworthy manufacturers and suppliers of Customize T Shirts in Pune, Mumbai. We have our inbuilt manufacturing facility, so, we are capable enough to offer a wide range of T-shirts to our clients as per their specifications. We use fine fabric and advanced technology while manufacturing our complete range, so, that the trust of our clients on our product will not get hampered. 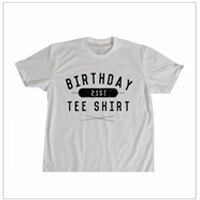 Our promotional Customize T Shirts are known for its unique design, elegant look, attractive pattern, different sizes, and colors. These are widely used for promotional purpose. You can print your company’s own logo on such tshirts and gift it to your entire staff or business acquaintances. Nikos as famous Customized Tshirt manufacturers, suppliers, and exporters, offer its complete range at a reasonable market price. We give 100% assurance that you will never disappoint to get any of our products. Feel free to send enquiries, to keep in touch with us.